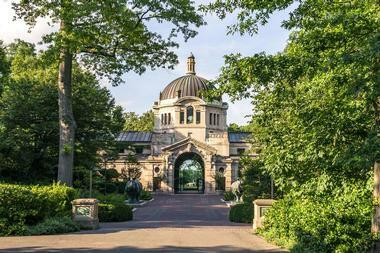 Known worldwide, the Bronx Zoo is one of the largest zoos in the world and the biggest metropolitan zoo in the States. Covering 250 acres of Bronx Park, the Bronx Zoo opened in 1899 and today provides home to 4,000 animals from more than 650 species. Managed by the Wildlife Conservation Society, the zoo includes a range of naturalistic habits with the Bronx River flowing through. There are several NYC landmarks in the zoo, such as the Rainey Gate entrance off Fordham Road and Astor Court at Zoo Center. 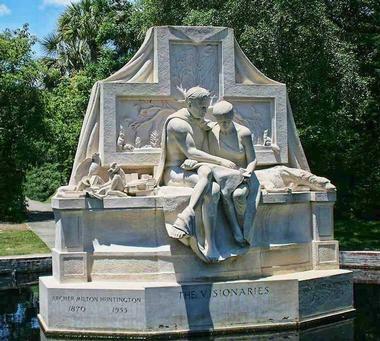 The Rockefeller Fountain was donated to the Zoological Society in 1903 by William Rockefeller. The zoo is not only a popular spot for visitors and animal lovers of all ages, but also has a worldwide reputation for animal conservation and captive breeding. 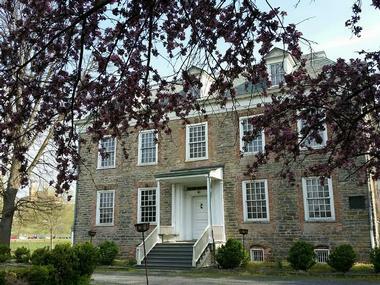 The Van Cortlandt House Museum is the oldest building in the Bronx, New York City. Located in today’s Van Cortlandt Park, the Georgian-style house was built in 1748 for Frederick Van Cortlandt and his family. The two and a half story L-shaped house has a double hipped roof and was built of dressed fieldstone. It is considered to be one of the finest examples of the Georgian-style stone houses in the country. During the Revolutionary War, the house was used by Lafayette, Rochambeau, and Washington. The house was sold to the City of New York in 1889, and the property was converted into a public parkland. In 1897, the house was converted to a historic house museum and listed in the National Register of Historic Places. The Bartow-Pell Mansion is a magnificent historic house museum located in the quiet part of Pelham Bay Park in the Bronx, New York City. With one of the finest Greek revival interiors in the country, the spectacular home is the last still standing major mid-19th century country estate mansion in the area, which was once the location of more than 20 grand estates. The house is standing on the location of a Federal-style home built in 1654 for Robert and Maria Lorillard Bartow. The current house, completed in 1842, was owned by the Pella and the Bartow families until 1888, when it was sold to the City of New York. The house, filled with lavish mid-19th century furnishings and decorative arts, is now open to the public for tours, which include the beautifully landscaped formal terraced gardens behind the house. A cultural and economic heart of Bronx and New York, the Belmont area of Bronx, known as Bronx Little Italy, is a vibrant center of authentic Italian culture and a thriving business district. It attracts thousands of tourists every year for its superb restaurants, artisanal food stores, and specialty stores that sell local handmade and imported items not easily found anywhere else. Developed in the early days of the nation, Bronx Little Italy has an Old World vibe created by generations of Italian-American families that settled in it, combining a European small town feel with a modern urban setting. Some of the area’s most famous residents were Joe Pesci, Anne Bancroft, Chazz Palminteri, and Robert de Niro. Located at the very edge of new York City, just beyond Pelham Bay Park in the Bronx and surrounded by the Long Island Sound and Eastchester Bay, City Island is a small community famous for its rich nautical history. Much of that history has been preserved by the Historical Society in the Nautical Museum. The museum occupies the top floor of a historical former elementary school located on land that was once a Revolutionary War graveyard. 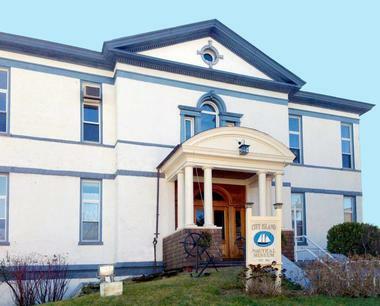 The museum houses a rich collection of photos and artifacts on City Island and its rich boating history, such as ship sails, model boats, and a range of America’s Cup memorabilia. Opened in 1902, the Enid A. Haupt Conservatory is a beloved New York City landmark and a vital part of the New York Botanical Garden in Bronx. The magnificent Victorian glass greenhouse was created after Nathaniel Lord Britton and his wife Elizabeth visited the Royal Botanic Garden at Kew in the UK and saw the fragile beauty of its glasshouse artistry. The conservatory today houses the World of Plants exhibition, with the garden’s large collections of tropical rain forests plants, deserts filled with blooming cacti, palms from all over the world, carnivorous and aquatic plants, and much more. The conservatory’s open air courtyards are filled with water lilies and lotus during the warm summer months. The conservatory hosts popular seasonal exhibitions such as an annual orchid show, the Holiday Train Show, and a number of fascinating themed flower shows that attract thousands of visitors. The Everett Children’s Adventure Garden is a true kids’ wonderland, an indoor-outdoor plant museum and a playground that offers children endless opportunities not only to have fun but also to learn about the natural world through a hands-on exploration of the wonders of science and nature. When it was opened in 1998, the garden was the first plant museum for children of its kind in the United States. The garden includes such areas as boulder mazes, more than 40 nature-discovery activities, trails, topiaries, galleries, a picnic area, plazas, and more. The outdoor galleries provide a look at plant lifecycles, what plants are made of, what ecosystems are, how plants and animals interact, and how the sun makes plants grow. There are also boulders to climb, Beth’s Maze to wander through, and Plant Part Paradise, where kids can make their own plants. Hush stands for “Us in Hip Hop.” It is an unique travel agency that provides exclusive cultural tours of New York City, doing for hip hop what Graceland does for country music or the Rock and Roll Hall of Fame does for rock and roll. Since 2002, Hush has provided an authentic experience exploring the hip hop culture in NYC – its birthplace. The guides are true hip hop legends; they will take you on an unforgettable trip through the hidden nooks of the city and to places where hip hop greats such as Biggie and Jay-Z grew up. There is a range of tours to choose from: Birthplace of Hip Hop, Where Brooklyn At? 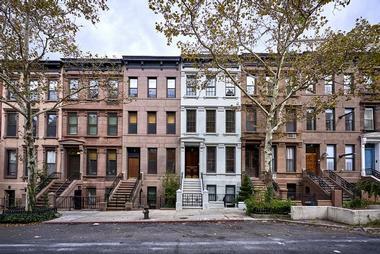 Walk This Way Thru Harlem, The Boogie Down Bronx Tour, and others. 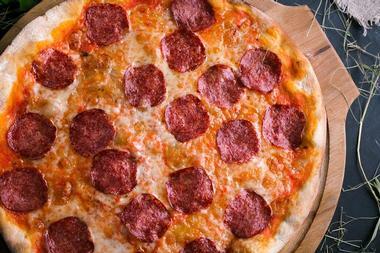 Louie and Ernie’s Pizza is a homey, small old-school counter-serve spot in the cozy, residential neighborhood in the Bronx, famous for its thin-crust, New York-style pizzas. The iconic pizzeria has been selling pies, whole and slices, since 1959, and their pizzas have been voted the best in Bronx and in the States several times. All they serve in their tiny unpretentious shop are pizzas and calzones, fragrant, hot, juicy, and incredibly tasty. You can eat indoors, there is even a TV on the wall, or on a small patio in the back, and they serve beer and wine as well. Mon Amour Coffee and Wine is a French-inspired coffee shop in the Riverdale/Kingsbridge area of the Bronx. Tiny and charming, it is a little corner of Paris in the heart of the Bronx, serving high-quality coffee, espresso, baked goods, flatbreads, and gourmet sandwiches and salads. Everything is made fresh and with high-quality ingredients. Exposed brick walls, small wood tables, padded banquettes, metal chairs, pendant lights, and Old World decorative wall frames all combine to create a cozy, Old World atmosphere. 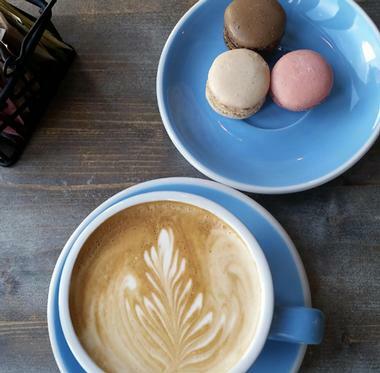 Mon Amour is a great neighborhood spot for a cup of great coffee or a fresh pastry, alone, with friends, or with the grandkids. 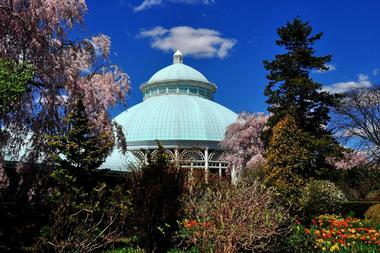 Only about 20 minutes from Midtown Manhattan, in the Bronx, is a magnificent showplace of nature, the 250-acre New York Botanical Garden. Regardless of the season, this National Historic Landmark is a favorite destination of locals and tourists, a must-see attraction with 50 lush gardens, indoor verdant rain forests and hot deserts, 50 acres of American native forest, waterfalls, a river, and green hills. This living museum is home to more than one million plants arranged in distinct collections. 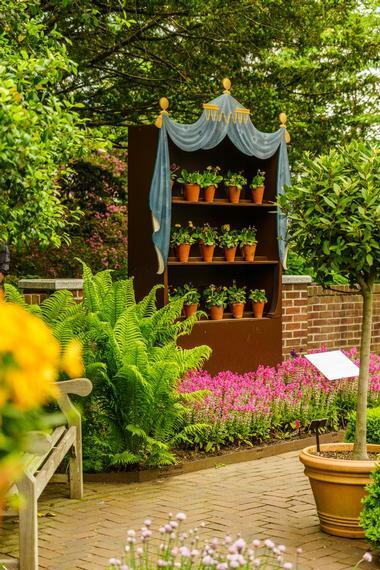 The garden’s seasonal exhibitions and special events are famous all over the country – the Holiday Train Show, the Orchid Show, or the spring festival on Daffodil Hill. The garden is known for one of the world's largest plant conservation and research programs, employing almost 600 staff members. Port Morris Distillery was founded in 2010 in the South East Bronx by two friends Ralph Barbosa and Billy Valentin. Using the knowledge of a family tradition of making pitorro, a popular Puerto Rican moonshine, they decided to introduce it to the NY market. With the help of an experienced moonshiner and master distiller, uncle "Tio" Rafael from Guayama, Puerto Rico, they started Port Morris Distillery. 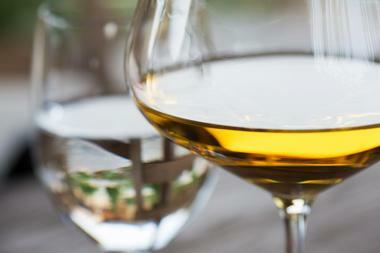 Pitorro is a traditional Puerto Rican moonshine that has been produced since the 1600s. Its main ingredient is sugar cane, with every family having its own recipe using different sources of sugar. Port Morris Pitorro is distilled mainly from New York apples from Samascott and Kinderhook Orchards, the corn is from Lake View in Penn Yan, and the honey from Roxbury Farm in Kinderhook. The distillery is located in an industrial area of the Bronx near The Tirado Distillery and Bronx Brewery. Port Morris Distillery is the only pitorro producer in the US. » S & S Cheesecake Inc.
S & S cheesecake Inc. is a 50-year-old iconic storefront factory selling award-winning cheesecakes to-go. You might have a hard time finding the selling counter in the industrial area of the Bronx, but once you are inside, you will be able to choose between New York-style cheesecake, chocolate mousse cheesecake, and cheesecake with fresh strawberry, cherry or pineapples. 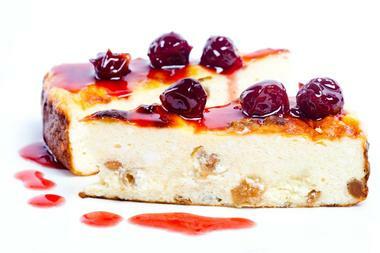 The delicious cheesecakes are traditionally made from the best ingredients by skilled artisans and have been awarded multiple Zagat awards and the title of “America’s Most Savored and Exquisite Cheesecake.” The factory does not have a sit-in area, all cakes are take-out only. They sell two sizes: Big or small. 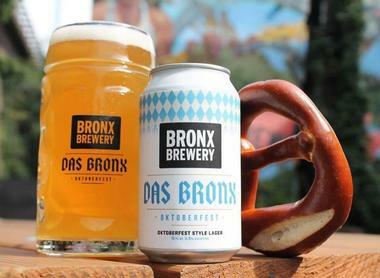 The Bronx Brewery is a small craft brewery launched in 2011 in the South Bronx, New York, in the Port Morris neighborhood. Its small team has a passion for high-quality beer and their beloved hometown of the Bronx. They specialize in traditionally produced, high-quality, minimally processed pale ales. Attached to their production facility is a cozy, homey tap room with white tiles and soft sofas and a massive 5,000-square-foot backyard, a perfect place for hanging out with friends and family, playing foosball or corn hole while sipping a pint of their Tropical Session IPA or Belgian pale ale. Private tours of the brewery are available daily. The Bronx Museum of the Arts is a world-renowned American art institution established in 1971 and located in Concourse, the Bronx, New York City, in a former synagogue. The museum specializes in contemporary and 20th century art by American artists. The museum has also hosted exhibitions of Latin American, African, and Asian artists and designers. The museum’s permanent collection contains over 800 sculptures, paintings, photographs, and works on paper. 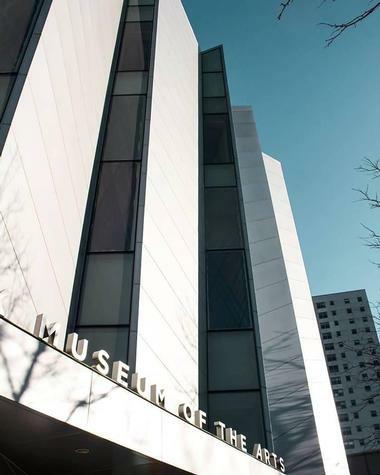 The museum’s goal is promoting cross-cultural communication for ethnically and culturally diverse audiences and making art accessible to the local community. The museum has an active and rich connection with local schools, teens, and families through its education programs and initiatives. 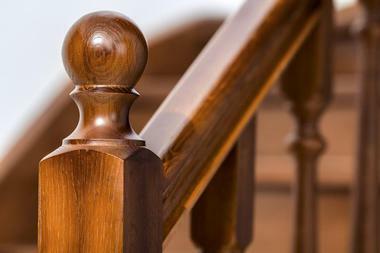 The Edgar Allan Poe Cottage was the last home of the famous American writer Edgar Allan Poe. A small cottage built in 1812 and located in the Fordham neighborhood of the Bronx, New York, in what is now Poe Park, the historic house museum was a home to Poe, his wife Virginia, and mother-in-law Mrs. Maria Clemm. The famous writer died in it in 1849. The cottage is listed on the National Register of Historic Places and has been managed by the Bronx County Historical Society since 1975. The city of New York purchased the cottage in 1913 and opened it as a house museum the same year. One of the most popular Irish bars in the city, An Beal Bocht started in 1991 as a neighborhood watering hole and a homage to the local Irish-American population. It has been known ever since as a major venue presenting Irish music, poetry, theater, and art. The small, cozy space with old exposed brick walls is plastered with original artworks, old photos, and Irish newspaper ads. The menu is full of traditional Irish fare such as the Gaelic Burger, chicken curry, shepherd's pie and fish and chips with fresh cod. The busy bar makes a range of specialty seasonal cocktails and is well-stocked with brews from all over the world as well as local craft beers from Bronx Brewery and Gun Hill. A few nights every week, the tables are cleared to make space for live bands playing folk or Irish tunes. Firmly established in the Bronx Belmont neighborhood since 1946, Artuso Pastry Shop is the family bakery that has been supplying the locals with their fabulous cannoli and specialty cakes for the last 60 years. 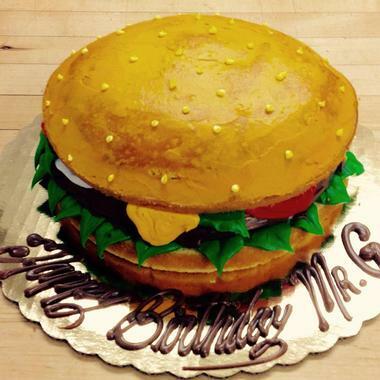 It is the place folks go for any important occasion that requires a very special cake – weddings, birthdays, anniversaries, and any other celebration. Four massive refrigerator display cases greet visitors to this spacious, cool, and airy shop with Anthony Artuso's latest mouth-watering works: Sheet cakes decorated with colorful flowers, double-deckers drenched in chocolate, and multi- tiered wedding confections sprinkled with silver. The cannoli are massive and freshly stuffed with sweet ricotta. If you cannot wait to devour at least one, you can sit at one of the very few tables and have a cup of good Italian coffee with it. The bakery also sells all sorts of other pastries and cakes, from biscotti and cookies to fior di mandorla and sfogliatelle. The Hall of Fame for Great Americans, a part of the University Heights campus of New York University, is an outdoor sculpture gallery created in 1900 on the campus of Bronx Community College in the Bronx, New York City. This 630-foot stone colonnade with 98 busts stands around the university library. The Hall of Fame was designed by architect Stanford White, who designed the library as well. The beautiful Beaux Arts structure was donated to the university by Helen Gould. The hall is a secular national shrine to the country’s great men and women and to the Roman ideals of fame in relation to the 20th century. The Valentine–Varian House, located in the Norwood section of the Bronx and built in 1758 by Isaac Valentine, is the second oldest house in the Bronx and the oldest farmhouse still remaining. The house belonged to the Varian family until 1905. 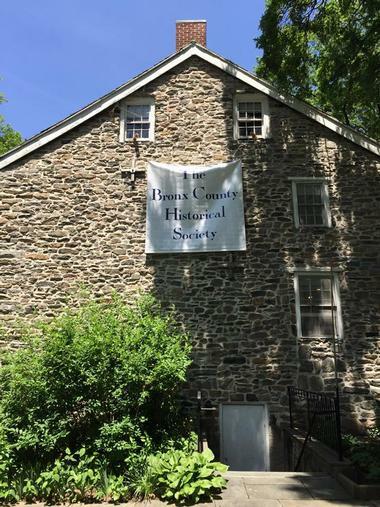 The house today houses the Museum of Bronx History and the Bronx County Historical Society. The two-story fieldstone house has a gable roof and was moved to its current location in 1965. The house has a turbulent past and was occupied by Hessian, British, and American troops during the American Revolutionary War. Its role in the war was described in a book published in 1983. 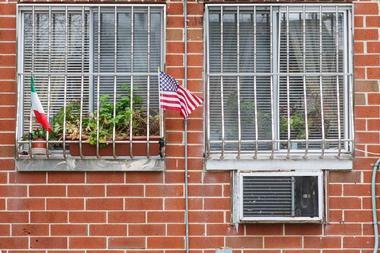 The house was converted for use into a museum in 1960 and today houses a changing series of exhibitions and a number of fascinating displays about the Bronx and its history. The South Bronx Farmers Market is located in the Mott Haven neighborhood of the South Bronx, NY. It is open on Wednesdays and Fridays, offering locals and visitors fresh fruits and vegetables, pastured meat, baked goods, and dairy products. There are also free cooking demonstrations every day and a range of other activities and courses. The market is a community initiative organized with the support of Just Food, which provides training and organizational help. The goal of the South Bronx farmers market is to make it easier for residents to stay healthy, get access to fresh produce, and get in touch with local farmers and food vendors. 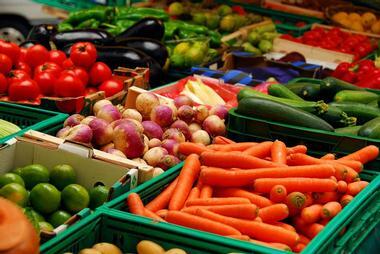 The market also attempts to banish the myth that healthy nutrition is not affordable to low income residents. The market vendors accept a range of discount options such as SNAP/EBT, WIC, FMNP checks, Senior FMNP checks, and others. Located in Woodlawn, Bronx, New York City, Woodlawn Cemetery is one of the largest cemeteries in the state, but with the character of a rural cemetery. It was established in 1863 during the Civil War, in an area that was in 1874 annexed to New York City. The cemetery covers more than 400 acres and is the resting place for over 300,000 people, among them some of American greats such as Herman Melville, Irving Berlin, Miles Davis, and Duke Ellington. 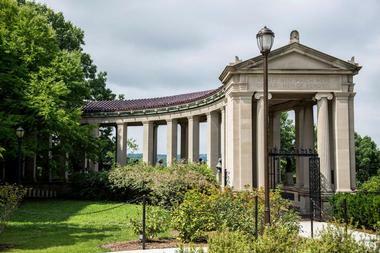 The tree-lined roads wind through the cemetery’s rolling hills and pass by some unique memorials designed by famous American architects. The cemetery also contains six British and one Canadian servicemen of World War I and a Royal Canadian Air Force airman of World War II. Woodlawn Cemetery is a National Historic Landmark. Van Cortlandt Park is a beautiful historic 1,146-acre park located in the northwest Bronx in New York City and is the city’s third largest park. 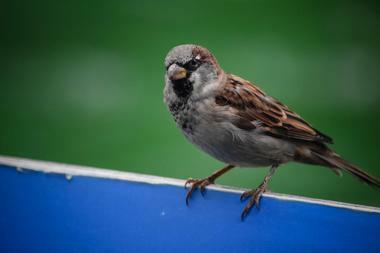 It is managed and owned by the New York City Department of Parks and Recreation, with the help from the Van Cortlandt Park Conservancy and the Friends of Van Cortlandt Park. The park has a range of sports facilities such as two golf courses, several miles of running trails, as well as facilities for swimming, soccer, baseball, tennis, cross-country running, horseback riding, and cricket. The park also has five popular hiking trails and its natural features include Van Cortlandt Lake, the biggest freshwater lake in the Bronx, Tibbetts Brook, and a lush old-growth oak forest. The Van Cortlandt House Museum, the oldest building in the Bronx, is located in the park and so is the Van Cortlandt Golf Course, the oldest American public golf course. 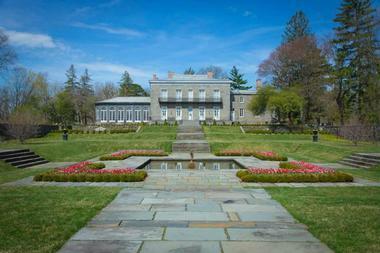 Wave Hill is a 28-acre estate in the Bronx, in the Hudson Hill section of Riverdale. Overlooking the Hudson River, with amazing views across the river to the New Jersey Palisades, Wave Hill today includes public horticultural gardens, a cultural center, and two houses. A part of the main Wave Hill House dates back to 1843. The smaller Glyndor House was built in 1927 and today houses an art gallery. The Perkins Visitor Center, originally a garage, has a gift shop and an information desk. 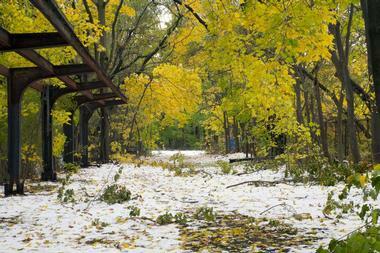 The estate was given to the City of New York in 1960 and Wave Hill was converted into a cultural center surrounded by a garden. The center offers visual arts exhibits and occasional Sunday concerts in Armor Hall. 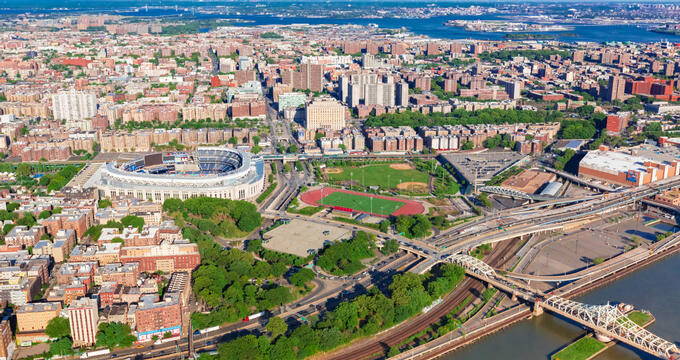 Located in the Concourse neighborhood of the Bronx, New York City, Yankee Stadium is the home ballpark for the New York Yankees of Major League Baseball. 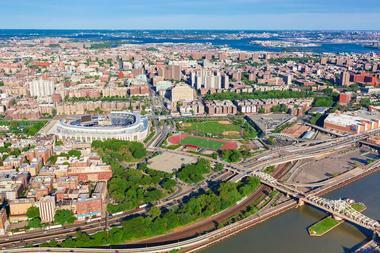 It is also the home park for New York City FC of Major League Soccer. The stadium replaced the original Yankee Stadium in 2009 and is located only one block north of the original. The 8 acres of the original stadium are now the Heritage Field public park. 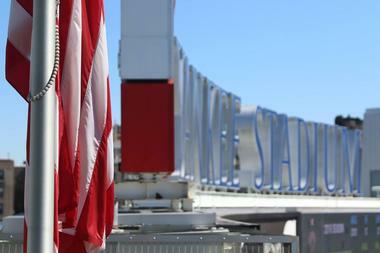 The stadium has several design elements from the original Yankee Stadium. Just like the original, the new stadium hosts additional events such as college football games, soccer matches, outdoor NHL games, and many concerts.